Look It's Megryansmom: Parents Magazine for Just $4! 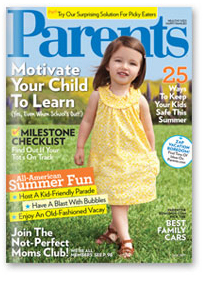 Purex is partnering with Parents Magazine to offer a one year subscription for only $4. That is only 33 cents an issue! Click on the magazine cover to order and enter the code PX0493. Offer valid July 8th until midnight PST on July 22nd. Disclaimer: I was entered into a contest by posting this information. I received no compensation.